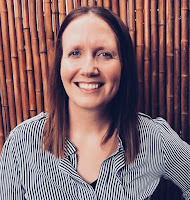 On a recent Called to Coach, we spoke with Holly McBride, group manager of organizational performance at Port Macquarie-Hastings Council (PMHC), a growing coastal area that includes the town of Port Macquarie, Australia. Passionate about strengths-based leadership and creating an engaged workforce that is solution-focused, McBride introduced Gallup’s Q12 and strengths to the PMHC and, because of her efforts, the organization earned the 2017 A.R. Bluett Award for being the most innovative and progressive council in the state of New South Wales. Tell us a little about PMHC and its responsibilities. Services range from water/sewage, road and park maintenance, community engagement, economic development, environmental services, waste management, corporate performance (Holly’s department sits within this area) which provides financial assistance and business needs, local arts, HR/Finance/IT functions. FT staff: 550 people plus part-time. Headquarters building but multiple depots for operational staff (water treatment, laboratories, Glass House art, etc.). Administration change resulted in rebuilding with new manager who wanted to build a values-based organization, allowing us to build on an engaged workforce with outcomes. How did you come across strengths and use it at PMHC? We have a strong set of values for our organization, which include communication, accountability, professionalism, integrity and teamwork. Those values were developed by the staff a number of years ago, which helps with buy-in and ownership with staff (the process was staff-driven). In-Focus worksheet (one page) helps connect values, goals and key performance indicators with success factors. Time frame is about 12-18 months. Outcomes focus is delivering on what we say we will do. Values-based -- we are accountable for what we do but also how we do our work (by connecting them to everyday activities). Brings the organization goals and values down to individual and team level over the next 12-18 months to achieve individual, departmental and organizational goals. One of the success factors points to a “Highly engaged workforce who is solutions focused” -- introduced Q12 as way to measure employee engagement. Anne: It is amazing how this is so digestible, attainable, with language that is common and connects individuals’ daily tasks easily to the bigger picture. How do you link the Q12 and strengths to PMHC? We wanted to conduct an all-staff survey that was different from the large 150-question survey with such a low response rate and unwieldy data that made it difficult to analyze and implement changes. In research for a new survey, the Q12 was simple, mobile options for surveys. February 2017 -- first survey plus four unique questions and one open-ended response option. Second survey in February 2018. Precommunications around explaining the survey, the purpose and how it will be used. People understood why we were taking this approach and why engagement was important. Manager and senior leadership team were completely behind the initiative. Staff newsletters and being sensitive to those without email via posters on news boards at all depots. Through the survey time, we conducted additional communication to encourage completion. Operational survey crews used to have to come into an office to complete survey -- this time, we created an app on iPad and hosted morning BBQs at the depots while inviting people to complete Q12 on the iPad. We had around 70-80 people at the BBQs who may not necessarily have had access to the survey previously. 90% completion rate!!! Very similar rate for 2nd year. General manager conducts two all-staff meetings per year designed to provide organizational updates, successes and insight into operations. Provided a high-level report of survey results which were shared during the all-staff briefing. Also hosted a session during one of their Employee Engagement Days to give the organization a more in-detail overview of the results and increasing their understanding of “engagement,” the benefits to individual/organization and their own role in supporting engagement. Employee Engagement Days occurs once a year over two days (off site). All staff are invited to attend one of the two days. A full day. Allows for indoor and outdoor activities. Opening speaker sets the tone for motivation and engagement. Brought in a strengths coach from another organization to share how they have used the Q12 and strengths approach in their operations. It gave the staff a local example of the benefits of Q12 and strengths, especially in 2017, when it was so new for PMHC. In 2018, keynote focused on engagement and strengths at another organization but with a focus on owning your own engagement in your own role within the organization. Schedule includes demonstrations by areas across the organization such as drones demonstration, telemetry projects, etc. Such a diverse business organization that you don’t always get to see what other areas do. Helpful to learn about what the entire organization does. Community activity as a team to give back to the community (2017 built play equipment for a rural community that had been affected by a bush fire). 2018 created care packs for the local pediatric hospital. Values and engagement results session -- giving the results to the organization, discussing the results and brainstorming together on what to do with the results moving forward. End of the day, staff were asked to write down on post-it notes, “What is one thing you will take forward from today?” Some responses identified understanding in engagement and goal direction like “I will own my own engagement,” “I will work on what I do best,” “I will have more conversations about the Q12,” “I won’t always see others as the problem,” etc. Do you use Q12 with managers and staff members? We have not prescribed to managers how to use the results. During Engagement Days, we give an overview of the organizational level of engagement. After Employee Engagement Days, the team results are circulated across the organization to allow managers to discuss team results. Our managers have attended some training workshops based on Gallup’s “Creating an Engaging Workplace” so we provide tools to managers to allow teams to individualize their approach with the results (both as teams and 1-on-1 with staff member). At the team level, we conducted some action planning around the Q12 results. We identified 3 of the items that we felt would really benefit us and our goals. We then created an action plan for each one of the items using a Gallup worksheet to define what each item means to us, what would it look like for us to move away from a 3 score (soft “no”) and to say “yes” (4 or 5 score) and what we need to continue/start/stop, which helps us to recognize we are doing good right now but that there are opportunities to do new things and those things/behaviors that are not allowing us to move forward on that action item. Action plans are incorporated into staff meetings to help close the loop and celebrate the things we have been doing well. With the 1-on-1 conversations, we shifted our performance management system from 6 monthly check-ins to more ongoing conversations that address values, behaviors and operational tasks. Not just what you do but how you do it -- coaching, not just supervising. Q12 has created a good framework for conversations on expectations. Individual conversations allow for individualizing the Q12 items and understanding the individual interpretation of each item and their needs. Do you have any success stories around using the Q12 conversations? The depth of the conversations we are having in a team is far more than before. You’ve recently made some investment in developing leadership competencies and tools such as 360 evaluations. Tell us how that has evolved. We implemented the Q12 and then recognized the key of engagement was how we lead and drive performance. That’s how we made the link between performance outcomes and engagement. The general manager recognized the effectiveness of 360 evaluations in building leadership competencies. The senior team (general manager, directors and group managers) agreed to utilize 360. Key: engage the senior team in choosing the tool for the evaluation since they were going to be the ones receiving performance feedback. Invited everyone to a lunch to view 360 tool options and provide their feedback on best tools. The senior team chose the Gallup Constituency 360 that focuses on 7 demands of leadership. They really liked the strengths-based approach and it aligned with the work done with Q12. That link was very clear to the senior team. Communication around completing the 360, taking the strengths assessment and a ½-day workshop on strengths to develop our understanding and awareness of strengths. Series of 3 coaching calls with a Gallup coach. One of the managers couldn’t believe how the coach was able to link together the 360, his top 5, and the results in the team Q12. Linking all the reports together and helping him to aim his strengths to achieving success moving forward was amazing. For some people, a 360 evaluation is a scary process. How has that process gone? How have people responded? The key understanding is that your strengths are not strengths yet -- they need time to develop and aim. The way the 360 are framed and the free/open-ended comments allow for constructive and helpful comments. The coaching call really is key to interpreting results and discussing how to use strengths to create actions that are helpful. The language allows people to address what they are naturally talented in and how to use those strengths to address the comments. In the report, I highlighted the feedback that matched my own strengths. But I also received feedback around opportunity to expand my circle of influence because I really focus on close relationships -- where some of my staff members didn’t feel as close to me. Created some good action items to help me expand my circle of influence with the staff not in my direct reporting. Some feedback focused on creating a more direct purpose and focus -- because of my Futuristic and Adaptability strengths, my vision may not have always been as clear and certain for my staff. Are other teams having similar successes with this process? What are some challenges for others? Some people have taken more naturally to this process than others. But we’ve worked hard to empower managers … and now we are focusing on the next level below managers to further conversations and language around strengths. Having the key performance indicator of “creating an engaged workforce” on the organization’s In Focus worksheet (explained earlier in the video) really helps to ensure focus on engagement and this process across the organization. The senior leadership team has agreed to have them report back on their strengths during their fortnightly senior leadership team meetings. Each leader will take a turn talking about their strengths, one of them or their top 5, sharing feedback and examples, etc. The A.R. Bluett Award is a pinnacle of achievement within local government in New South Wales. We were awarded this because of the innovative nature of our efforts. Looks at the full breadth of our progress and services in 2017, including how we engage with our community, innovative approaches and what we’re doing to continuously improve. The Q12 and strengths-based approach allowed us to be innovative because not many local governments take this approach. The approach for employee engagement and changes to performance management (coaching vs. managing) were highlights. How big is your direct team? How often are the regular conversations vs. 6 monthly meetings? 1-on-1 conversations vary depending on need of direct reports. Some of them are weekly, some are biweekly and some are monthly. As a team, they get together about every 6 weeks. Team meetings are designed to be engaging and not just report updates -- we use morning meetings at 9 a.m. “stand-up meetings” on operational updates. Whole team meetings are more about learning and key discussions. Do you find over the last year that strengths conversations happen more on a daily basis rather than formal meetings? The Q12 we see more often because strengths is a little newer than engagement and Q12. Some managers have shared their results of the Q12, 360 and strengths with their teams, but strengths have only been administered to senior leaders/managers. Holly McBride is the Group Manager Organisational Performance at Port Macquarie-Hastings Council (PMHC). Holly's purpose is to empower the organisation to be the best it can be in relation to its people, planning and process improvement. Having a career in Local Government that spans almost 10 years, Holly is passionate about strengths based leadership, continuous improvement, organisational development and the value that can be gained from creating an engaged workforce that are solutions focused. Holly has introduced the Gallup Q12 and Strengths Based Leadership at PMHC, who recently won the A.R Bluett Award for the ''most progressive and innovative" Council in NSW. Holly strongly believes that employee engagement and taking a strengths based approach is key to individual and team success and will support PMHC to continue to grow as a regional leader. Holly is currently completing her Gallup Strengths Coaching certification. Holly's top five are Arranger, Relator, Adaptability, Futuristic and Positivity. Gallup-Certified Strengths Coach, Rachel S Carpenter, contributed to this post.